First off I’d like to appologise to ThorFire for being really slow to review this light. 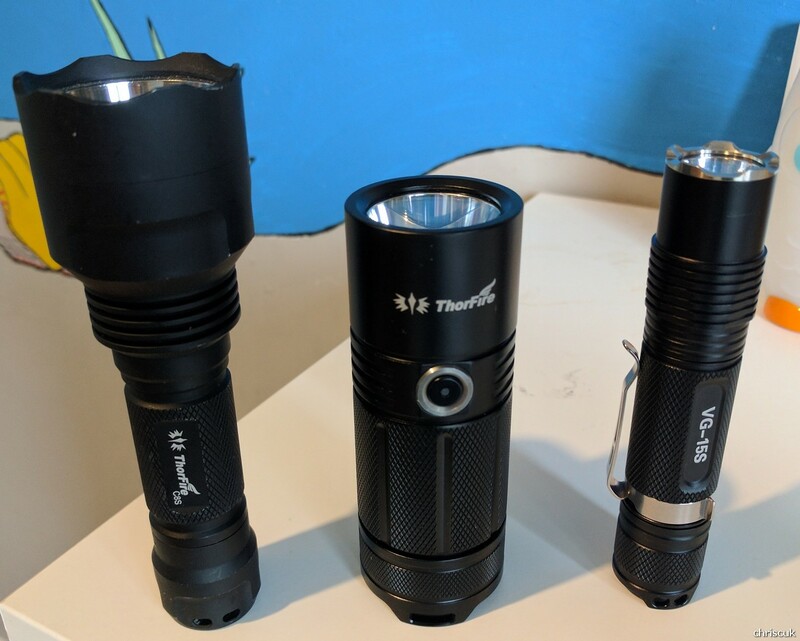 I’ve had the light probaby 3 weeks now and I’ve had various excuses that have caused me to not get on with the boring part of getting sent lights, the writing up of the review. The positive part of this is I’ve actually had time to play with the light a lot more than I usually do when reviewing a light and that can only be a good thing. 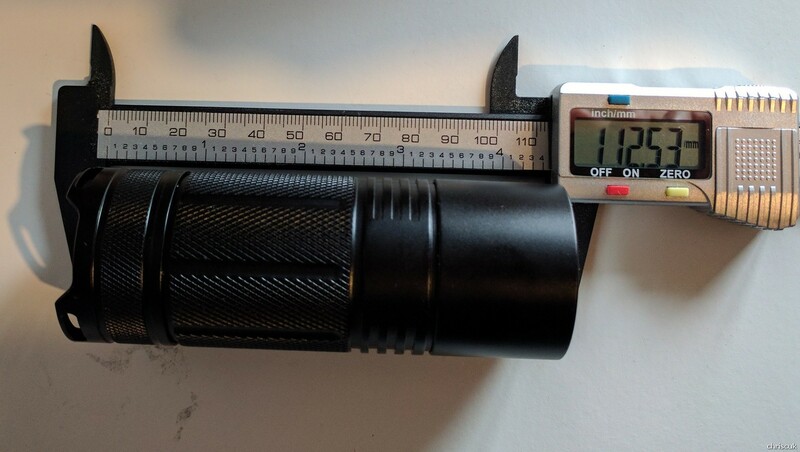 I was quite excited to be asked to review this light as I am fond of the 4xAA format lights. 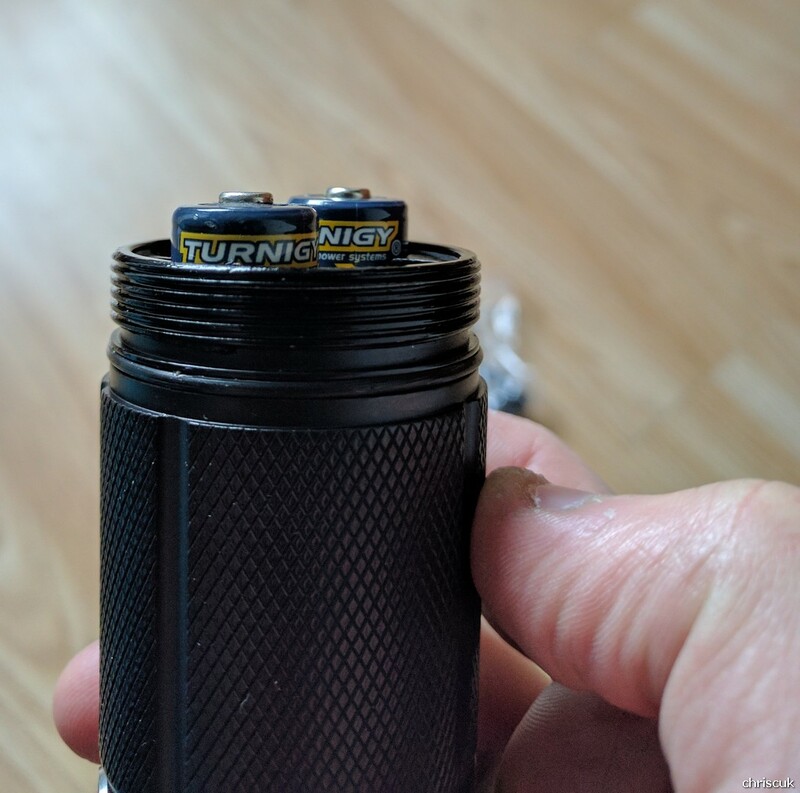 I’ve had a Thrunite TN4A and a few Nitecore EA41’s so this seemed like a nice addition. 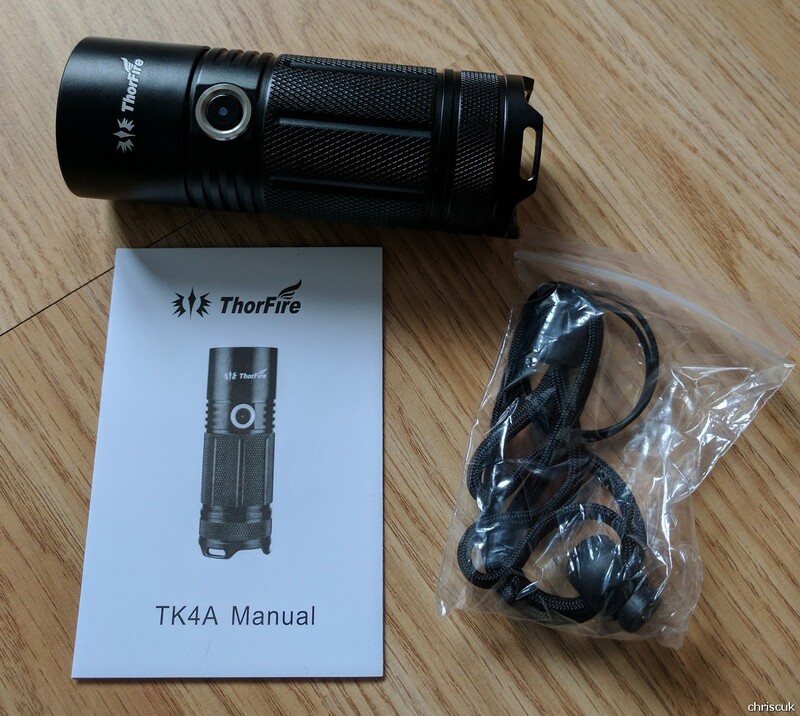 I Sold my TN4A as I wasn’t keen on it then I sold my EA41 as someone really wanted it, I then replaced it a few days later with another one – I obviously preferred the EA41 to the TN4A so this ThorFire TK4A has to compete with my much loved, used and abused EA41. Instruction manual, light, lanyard and a couple of o-rings. Standard stuff really. It feels nice, its a good size and has a good weight to it. The knurling on the body feels grippy too. This wont slip out of your hands in the wet unlike the EA41 that was a bit slippery. Have a look at it! It’s lovely. Nice knurling, not too aggressive. It looks “just right” to me. The button is nice and clicky. 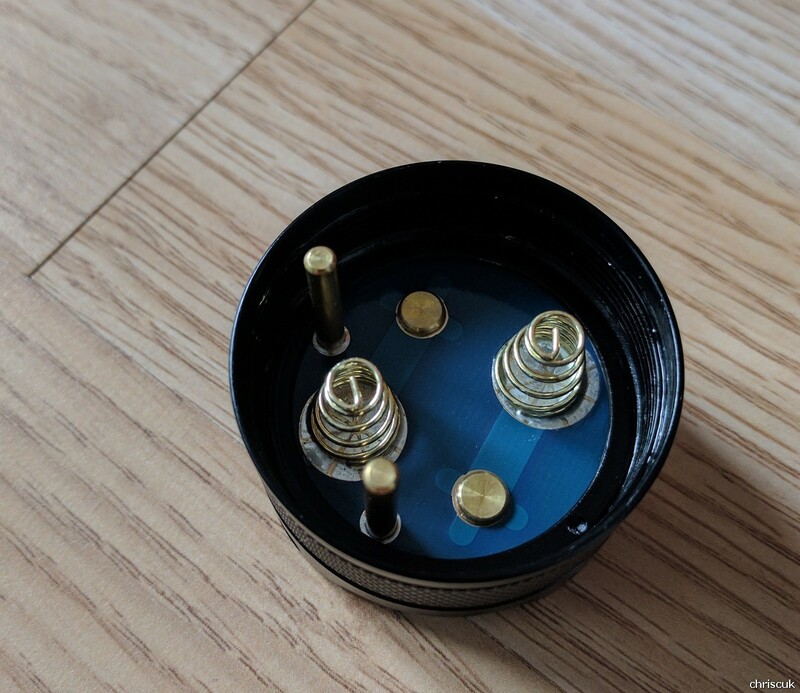 Springs / Contacts. No one seems to be able to keep the springs in the same places for their lights but these do the job. No double springs but on this sort of power it’s not a requirement in my mind. Nice beam, nice tint and I like the green power indicator. Nice smooth threads = smooth motion. Well lubed. Definitely not cheap feeling. So you can see them side by side but when you’ve played with them for a while you can see the differences. 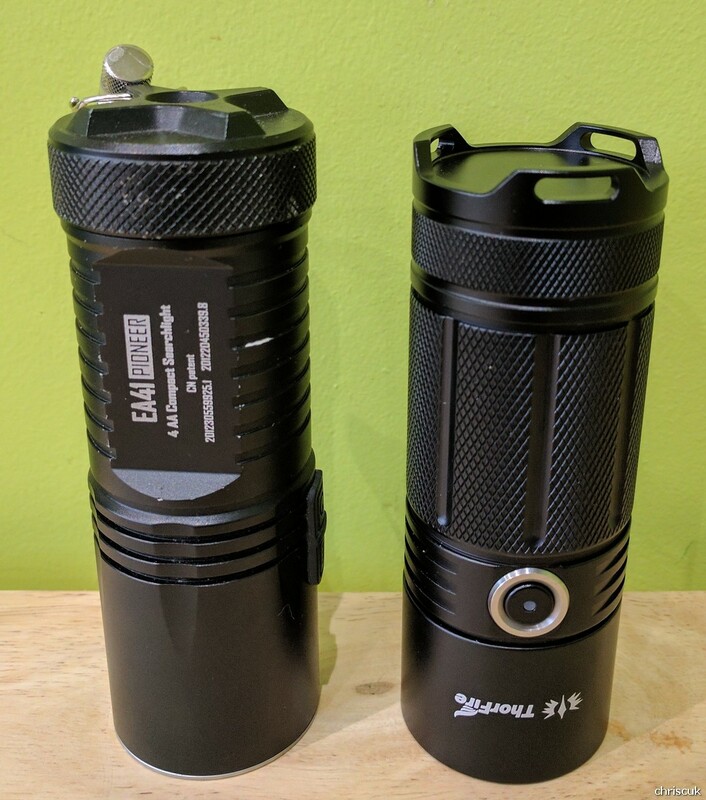 Both feel really well made, both are really sturdy and I’m happy to say I think the ThorFire light will survive anything I’d throw at it. The tints are different, the ThorFire I’ve got is slightly warmer in tint and the throw is slightly less but it is totally usable both in the house and out and about. 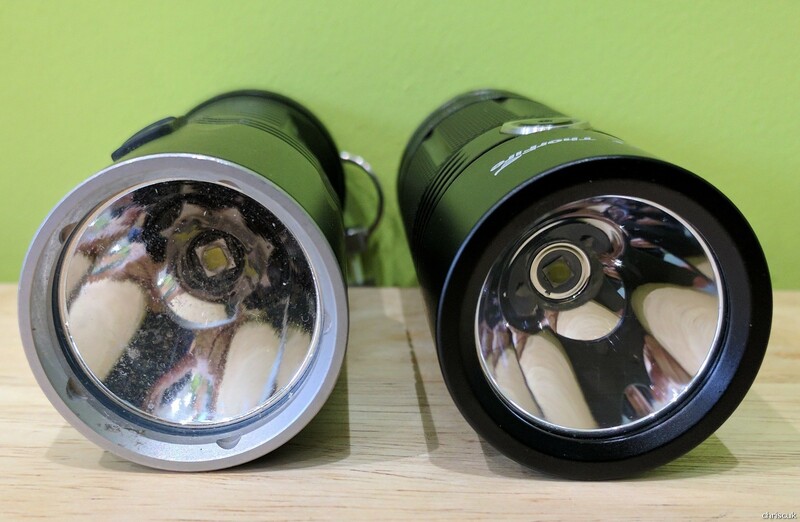 I would usually copy and paste the spec of the item but the details are clearly available on many of the websites selling this light I’ll just give my opinion of the modes. Moonlight is properly low, it’s a very useable low that when I used it in my house at night it lit up only parts of the room I was pointing it at. This is perfect and I imagine the batteries will last ages. Each mode has a slight delay when swapping from mode to mode and the brightness levels seem nicely spread apart. I do like the fact that you can go from having it on full brightness, turn it off then go to use it on moonlight and once you turn it back on it’ll remember where it was before you was in moonlight. 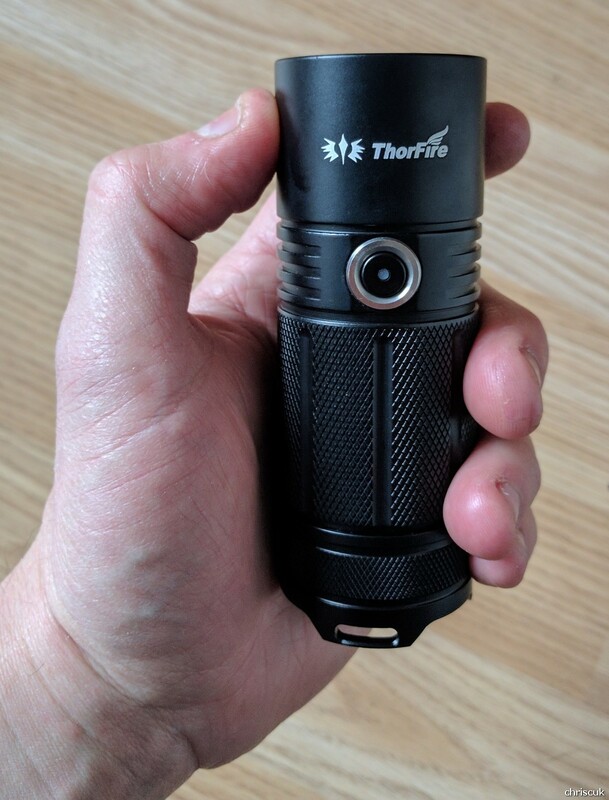 ThorFire have created a very nice light that I’ll definitely suggest to people who want a high quality light that runs on bog standard AA batteries. 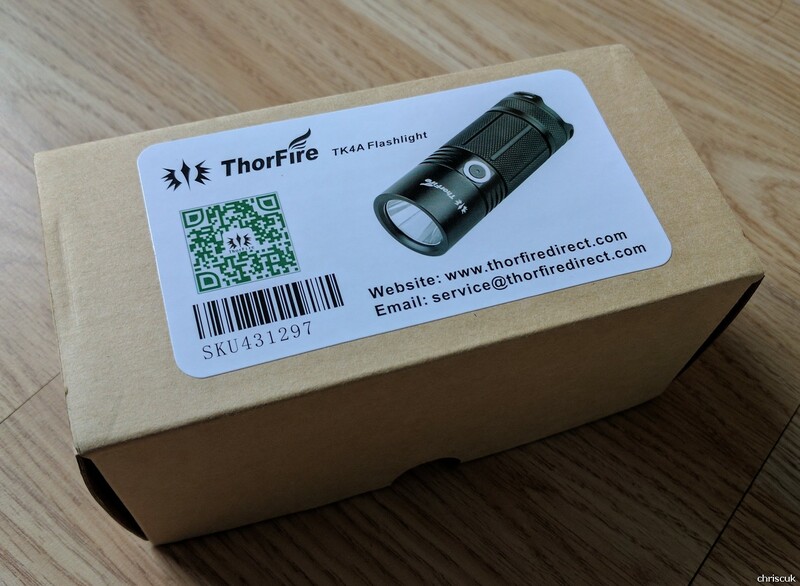 This is a bit pricier than other ThorFire products BUT I think it is still good value for money as the quality really does compare with the bigger brand names. 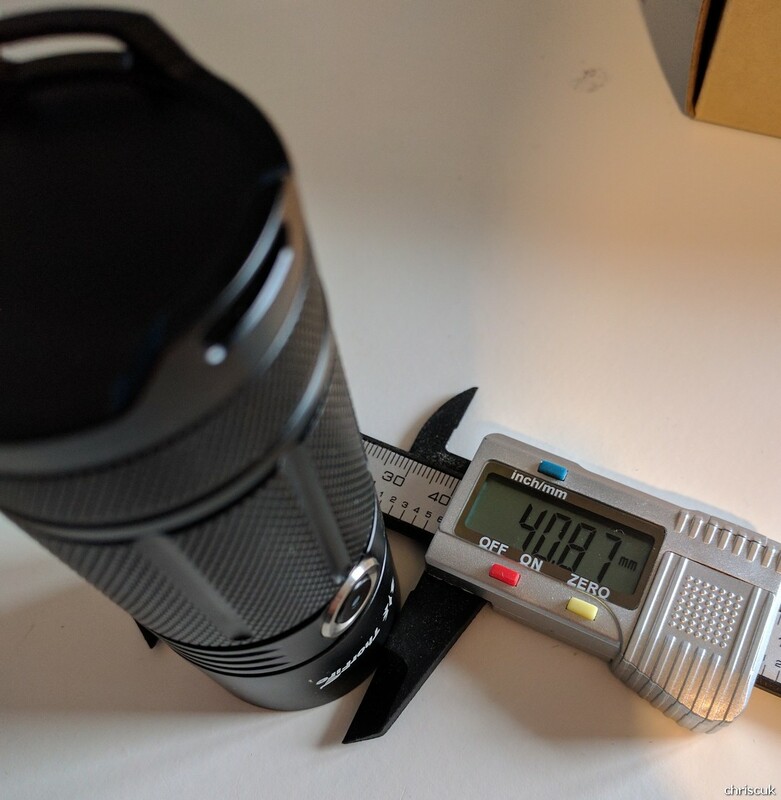 There have been a few in depth reviews on this light by other members of this forum and each person has said very positive things about this light. 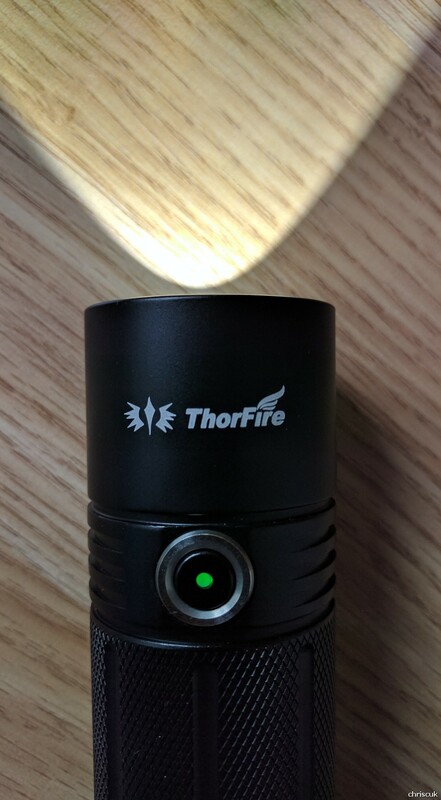 I originally thought ThorFire was a cheap light producer that made better than average lights but now I can see they’re making slightly more costly lights that fit the budget.